The 28-yrs-old cricket Medium pacer Muhammad Abbas is the new frenzy of Pakistan cricket fans who in Pak-Aus series took his maiden ten-wicket haul in a match to fire Pakistan to a 373-run win over Australia in the second Test in Abu Dhabi on Friday. Usman Khawaja, whose herculean century helped Australia salvage a draw in the first test, couldn't bat in the second innings after tearing a left knee cartilage in the warmup on Thursday. Australia will look to bounce back as the two sides face each other in a best-of-three T20 series in the United Arab Emirates, which begins on Wednesday, 24 October. 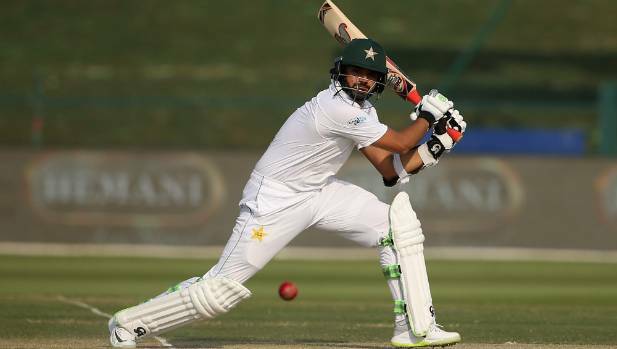 Abbas, who was awarded the Man-of-the-Match as well as Man-of-the-Series, continued, "No one from my area has represented Pakistan in a Test match before". Abbas welcomed him with a bouncer first ball which Mitchell pulled to the boundary, but found his defence breached with one that nipped back and caught him playing down the wrong line.